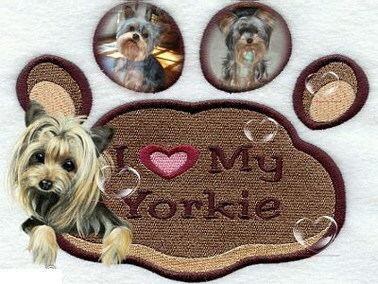 ​​Welcome to Little Yorkie Wonderland and Thank you for visiting our New webpage . ​I'm a small hobby home breeder located in Leslie Michigan specializing on breeding adorable healthy Toy & Standard size Yorkshire Terrier puppies breed only. I strive to raise healthy, happy. adorable, affection and best quality possible that gets better with each generation to come Yorkshire Terrier puppies. All my Yorkies and puppies are purebred and register with AKC or CKC registry. I have been raising the toy and standard size Yorkie breed for over 14 years. All of my Yorkshire Terrier and puppies are born and raised in our home from day one with tons of care and love. All of our dogs and puppies raised in our home never in a kennel or cages, they are part of our home and family. They raise under my feet and cage free, run around the house as my kids. They watching TV with me, company me while I'm cooking in the kitchen, play at fenced back yard and every night tuck them in bed their playpen. They interact and received daily socialization in our home, animal and people, therefor all my Yorkie and puppies are very friendly, well socialize, great temperament, charming and very affection you will fall in love with them. I make sure that my Yorkies and puppies have the best possible care, love and attention that I can give them daily. Each puppy is raised above and beyond their costs to me. I provide pups that have been showered with love, attention and healthy care, with very carefully planned breeding. They are loving, cheerful, playful and friendly, will be a wonderful addition to your family and bring you bundle of joy. Each of them have adorable teddy bear or baby doll face , great temperaments and affectionate individual personalities will melt your heart. ​If you are looking for that special little Yorkie puppy to fill your heart and family, just give me a call or email me. Our Yorkie puppies are sold with health Guarantee & Sale Contract. Please read through the sale contract when you decide adopt one of our Yorkie puppy. We are very careful screen who adopts our puppies and make sure they go to good home well taken care. We reserve the right to refuse any potential buyer ! ​Our Puppies are only sold as family pet to loving families and individual as companion pet but we do occasional sell to approved hobby breeder. 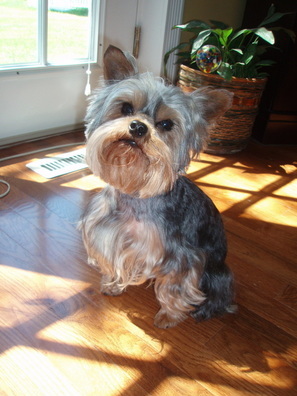 ​We DO NOT sell our yorkie puppies or adult yorkie to Kennel, Pet Store, Broker or Puppy Mills. For Available puppies please check out available puppies for sale page.